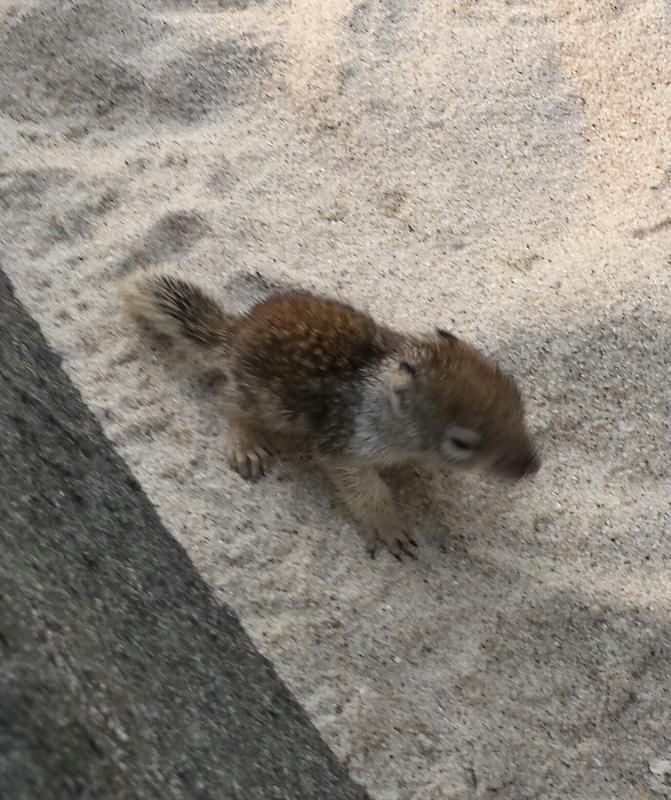 This baby squirrel was rather frantically scurrying around at the base of the cliff at sunset tonight. No squirrel mother was in sight. This creature’s tail was trembling while it scurried and then crept in aimless large circles around the rocks we were sitting on. We left, hoping that the mother would appear to fetch her wayward? lost? ill? child. Eventually, we climbed the stairs up the cliff and when we looked down, the squirrel was making its way back to the foliage at the base of the cliff. We hoped it would be found. We all need to be found. Yes. And found by the right one(s).